Authentic, iconic, simple, timeless. The new Mondaine SBB Mini Giant doubtless bears the world’s most famous dial. A functional and reassuring design found on all Swiss railway clocks. Loyal to the original while now available in a mini version with a 35 mm diameter, this new wristwatch is an appealing interpretation of the Giant model. The absence of lugs gives the impression of wearing the emblematic Swiss Federal Railway clock on the wrist, while ensuring perfect comfort for everyday usage. 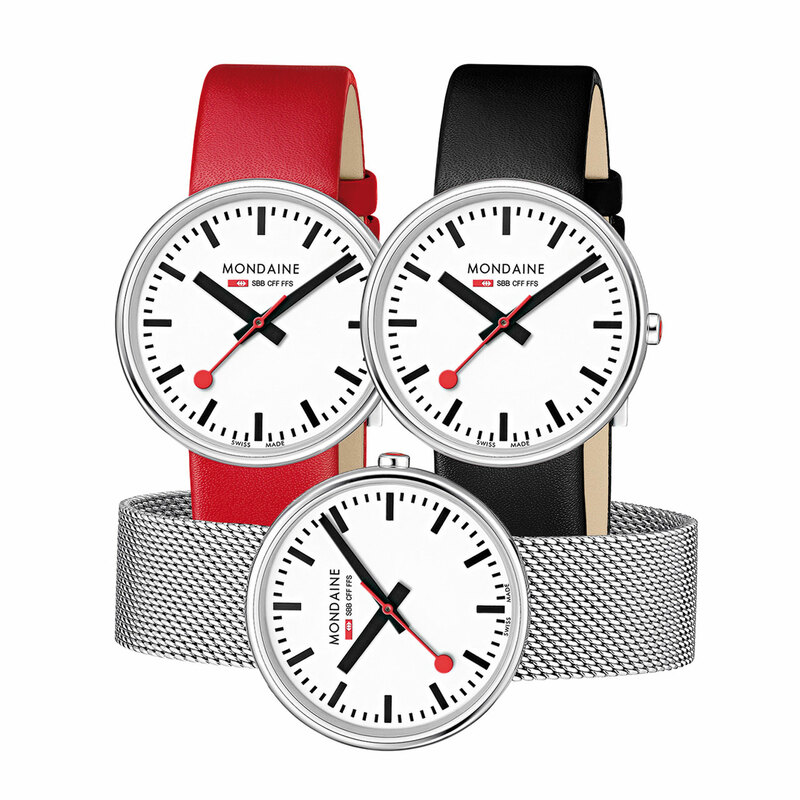 Available with a leather strap in the traditional red or black Mondaine colours, or with a Milanese mesh steel bracelet, the Mini Giant displays ineffably Swiss precision on its white dial with the famous red dot. A domed magnifying-effect crystal enhances the overall effect and makes this a collector’s item for all design lovers and Swiss train enthusiasts.